Can Meditation Help Us Coach More Powerfully? Being a powerful and effective coach requires possessing many facets, one of which is personal mastery—a centerpiece to the ability to help others change and grow. After all, no matter how many tools a coach might have, if there is a lack of personal development there will be a real limit to how well those tools are used. A stressed out coach who is in their head, in fear, distracted, not present, controlling, emotionally volatile, or trying too hard will get in the way of their clients’ journeys as well as their own. As a coach—and in our relationships in general—the practice of self-discipline, non-judgment, mindfulness, compassion, and presence strengthen our ability to make a positive difference. I have certainly found that to be the case, and a big key for me has been a regular mediation practice. I have found myself more centered, curious, compassionate and focused, I dance more deftly with whatever arises in my client, and my inquiries are more succinct and to the point. This means my clients get a whole lot more bang for their buck, walking away with greater insights, clearer outcomes, and therefore better results. Meditation has been a focus of daily life for millions of people all over the world throughout history. If you are not familiar with it, the term meditation refers to a broad variety of practices in which an individual trains the mind to focus on one thing in the present moment. At the same time a heightened state of consciousness is formed by simple acknowledgement of the mind’s thoughts without becoming identified with the content and by repeatedly returning to the present moment. Since the 1960s, meditation has been the subject of increasing scientific research. 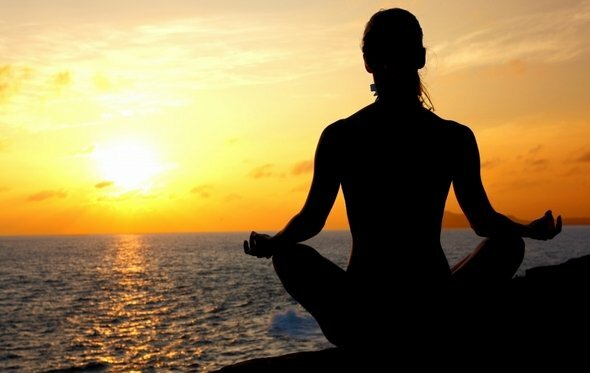 Several hundred studies have shown meditation to have significant positive effects on the physical, psychological, and emotional wellbeing of humans. It actually changes the structure of our brains, improving our ability to regulate our emotions, control our stress levels, and feel empathy for others. The opportunity to develop ourselves as humans, let alone as coaches, is on-going. Having some kind of practice toward that—training our minds to surrender to the moment and detach from outcomes, no matter how we get there—will surely will benefit us as well as those who engage our services as helping professionals.